Polibrixia srl is an innovative company that works in applied research, with a focus on mechanics, electronics, and informatics. Utilizing our team's diverse experience, we develop original solutions to complex and multidisciplinary problems. 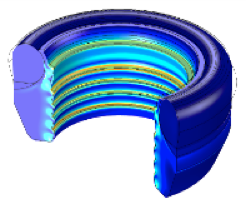 Model of a high-pressure seal composed of three different hyperelastic materials. 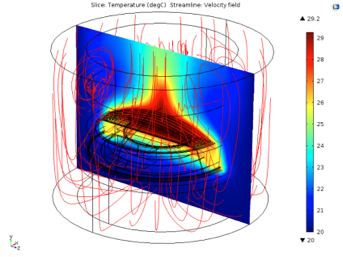 This model was used in the September 30, 2015 webinar "Analisi di meccanica strutturale con COMSOL Multiphysics". 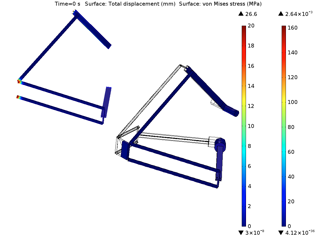 Dynamic simulation of a robot with parallel kinematics. 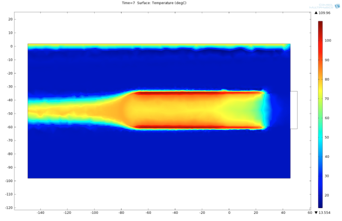 Thermal and structural simulation of a lamp used in a street light.